Anyways, what prompted this post was that a couple of weeks ago I bought this boho-inspired top from H&M (on sale, of course). 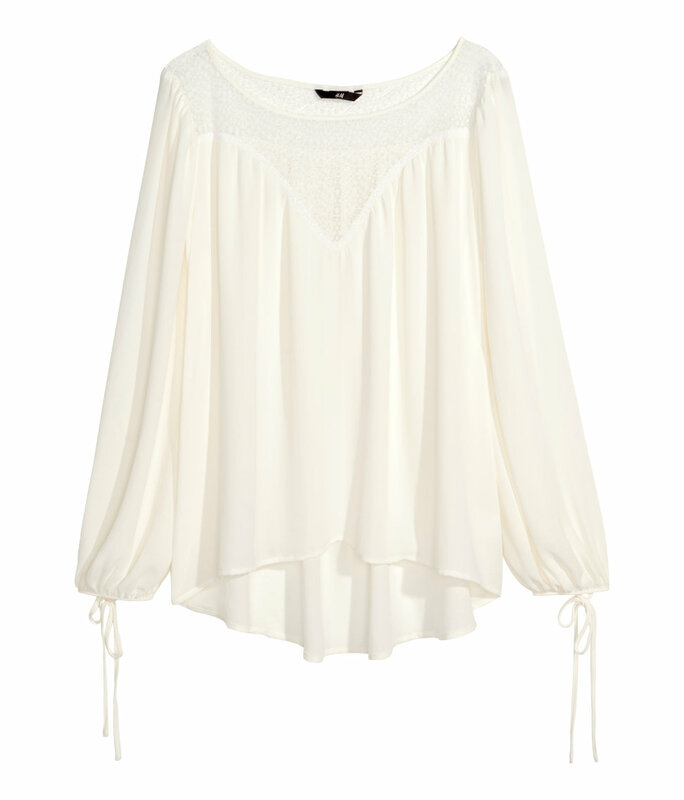 H&M wide cut blouse can be found here. After I bought the blouse, I looked at all my clothes and I had no idea how to wear it! I’ve paired it with tights, jeans and for some reason I didn’t like how it looked. So since I’ve bought it, I haven’t worn it out. Sometimes the problem with falling in love with a specific garment is that you like it so much on its own, it gets hard to find outfit combinations that you like. Well, I know it’s true for me. I bought so many shirts or skirts or sweaters that I really liked and once I tried to create an outfit, I had no idea what I was doing. Maybe I just need to work on my outfitting skills. What I like to do is look to the celebs and fashion bloggers out there for style inspiration. They know what they’re doing and they know how to put together an outfit! It seems that some of the popular combos are to pair it with denim shorts (or skirt), or white pants/shorts/skirts. Of course there are other ways to wear it, which I have included below, but those seem to be the go-to combination. It’s also important to note that there are so many variations of a bohemian-style tops. Find a style that suits your style and create an outfit that screams you. Hi! I just stopped by to say I really enjoyed going through your post! Very interesting and cool! Keep it up! Come check out my blog if you get the time, I’d love to know what you think!